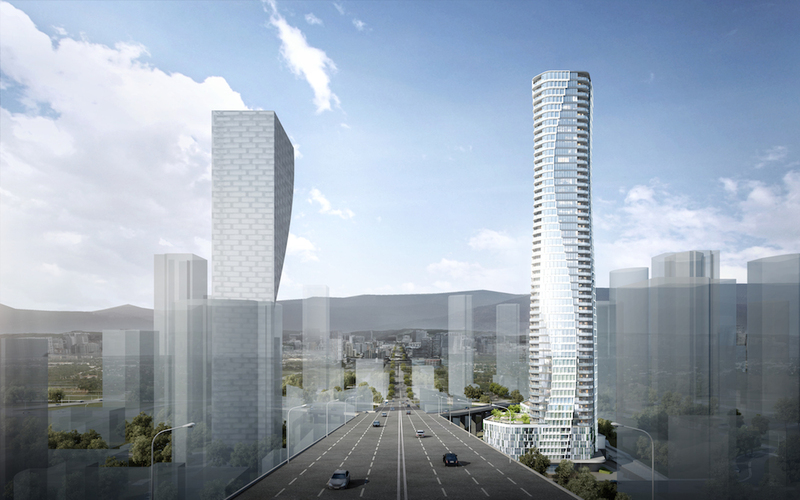 Vancouver House’s ‘gateway’ counterpart on the north end of the Granville Street Bridge in downtown Vancouver has a refined design with updated artistic renderings that exposes more of the building’s ‘movements’. 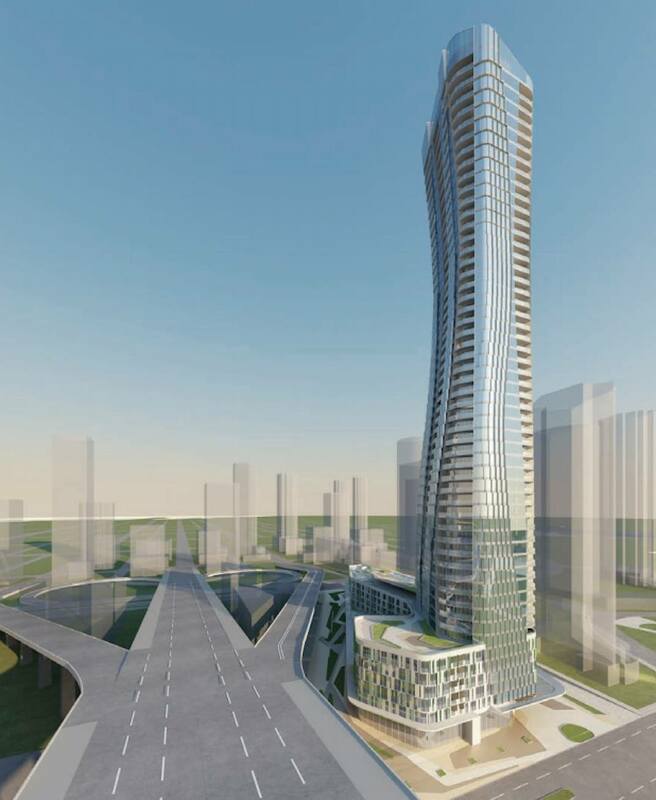 Pinnacle International recently submitted its formal rezoning application to develop the vacant site at 601 Beach Crescent, which was unveiled this past spring. 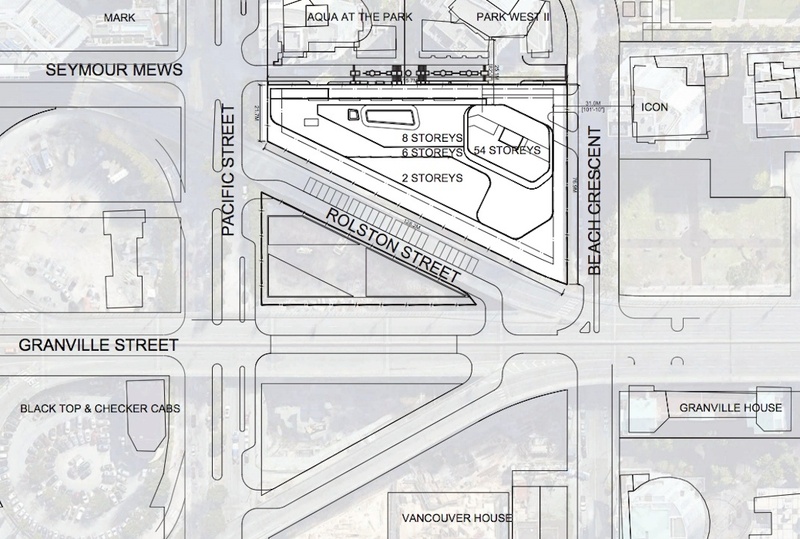 The site is framed by Beach Crescent to the south, Seymour Mews to the east, Pacific Boulevard to the north, and the Granville Bridge’s northbound offramp onto Seymour Street to the west. 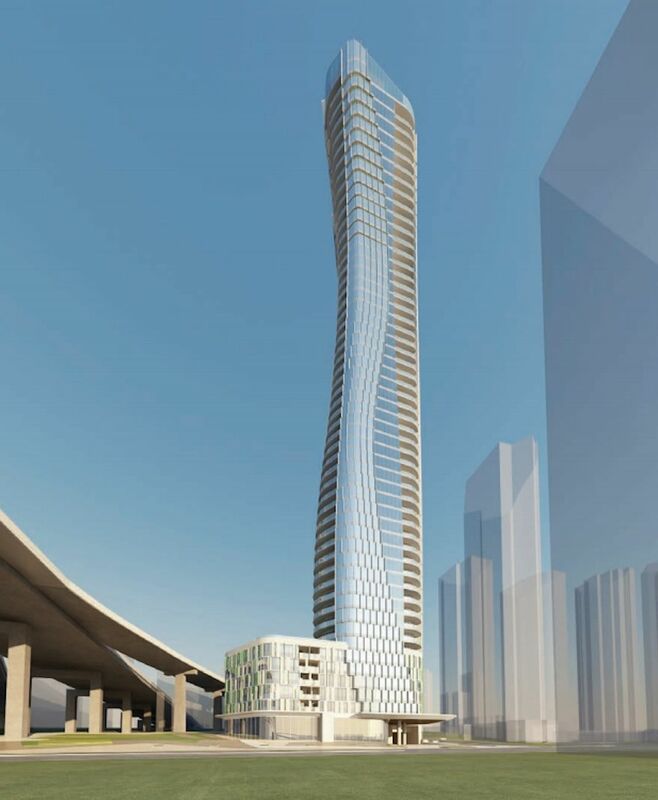 The design by Shanghai-based Jyom Architecture, with local firm GBL Architects as the architect of record, will reach a height of 535 feet with 54 floors. 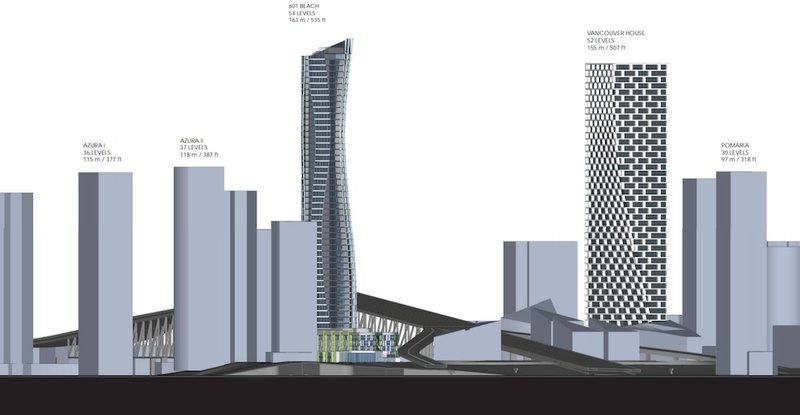 This site has been designated by the City of Vancouver as a suitable location for a taller, landmark tower to create a visual gateway into the city centre from the bridge. 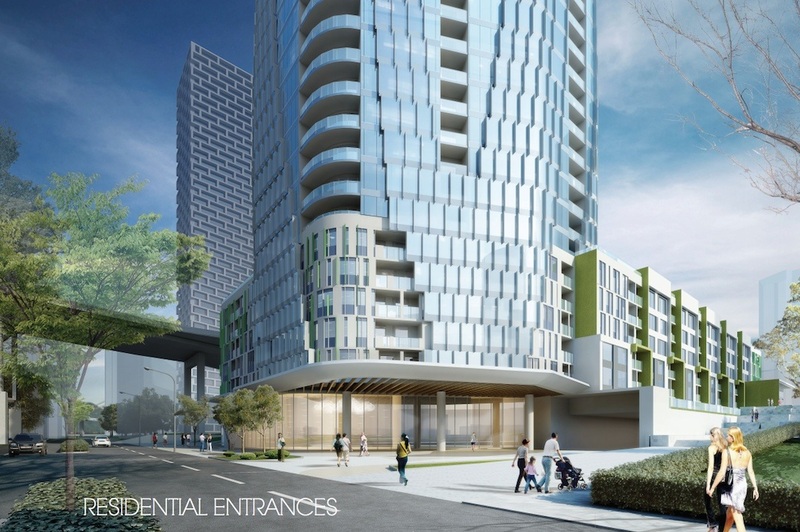 There will be 455 homes, including 303 market residential units within the tower and 152 social housing units within the podium. The unit mix is comprised of 20 studio units, 204 one-bedroom units, 175 two-bedroom units, and 56 three-bedroom units. 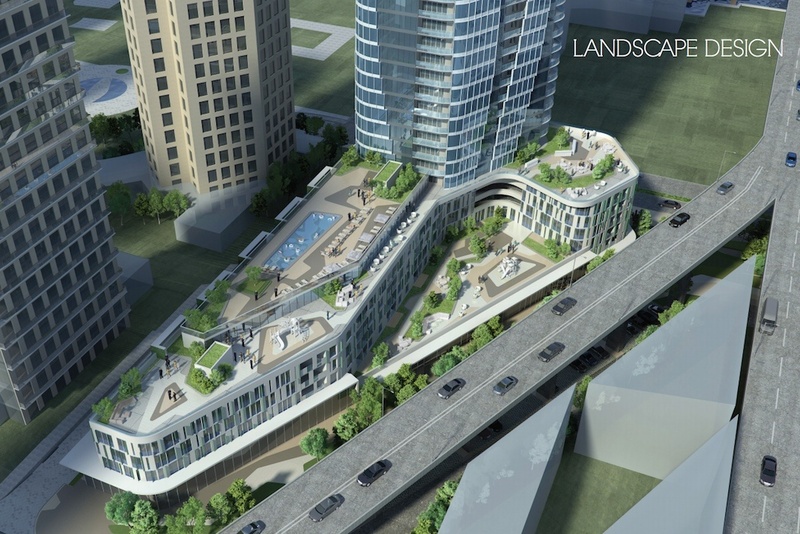 Residential outdoor amenity terraces are located on the third, seventh, and eighth levels. 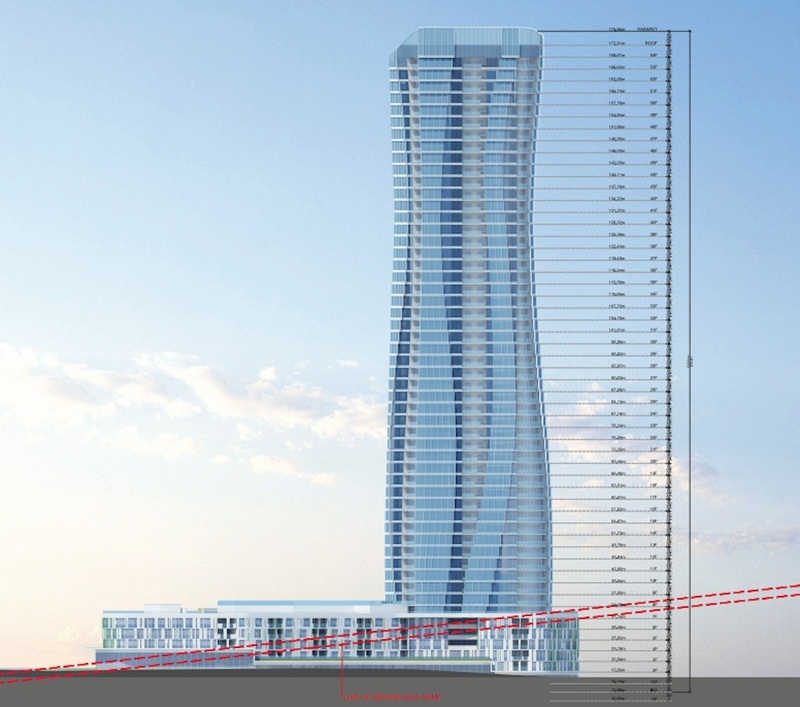 On the ground floor, 22,543 sq. 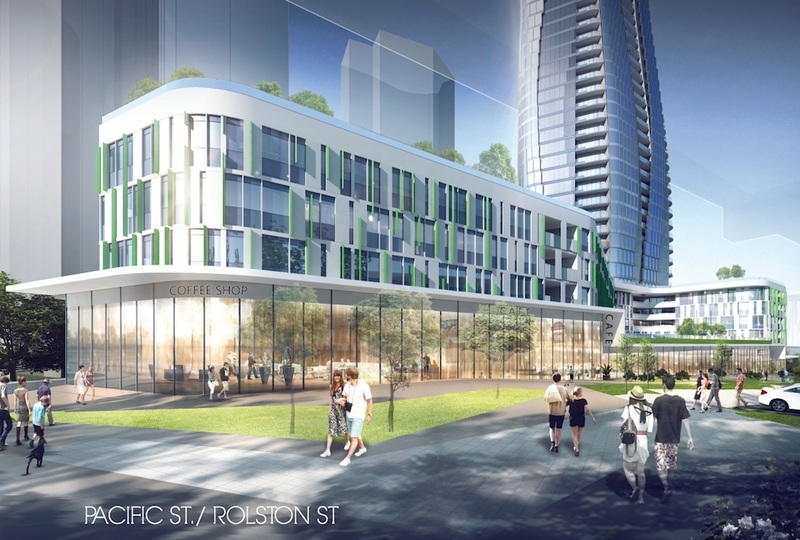 ft. of commercial space is planned to help establish the new retail district anchored by the significant infusion of retail created by Vancouver House. 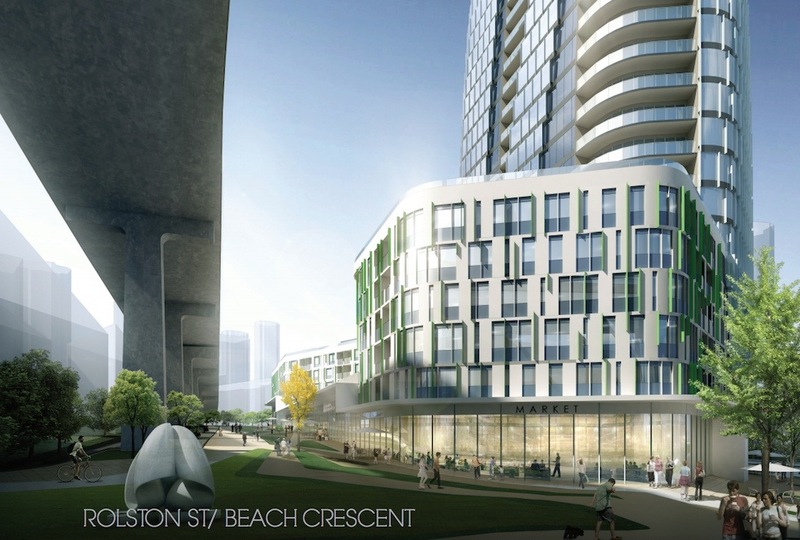 “The podium massing take its shape as a response to the site context and constraints while trying to optimize the City’s vision of creating a vibrant public realm along Rolston to reinforce the commercial area of the Vancouver House development,” reads the design rationale. 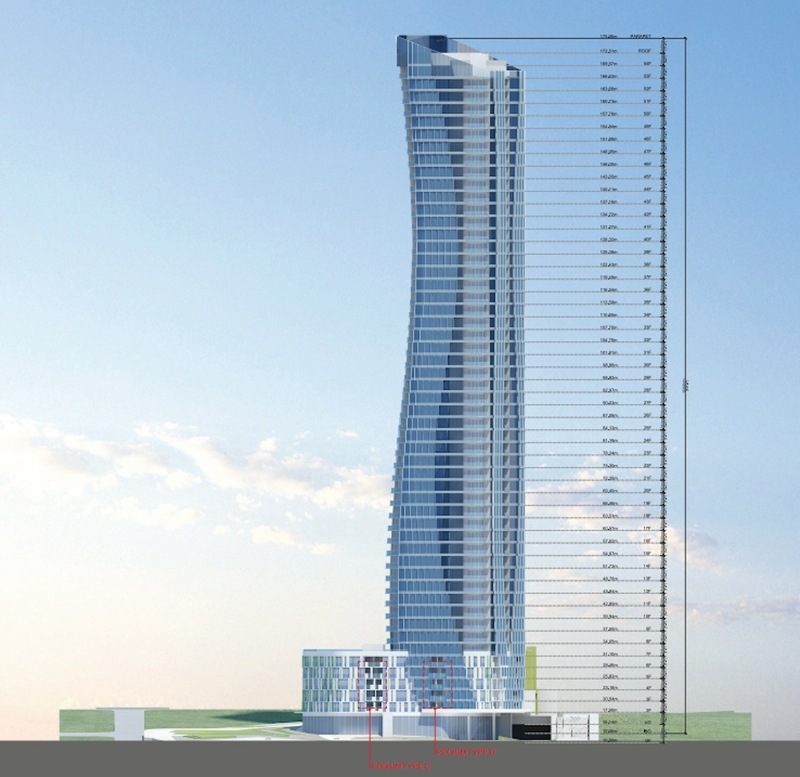 As for the building’s architectural expression, it is intended to replicate the motions of the dancing female form. “The design is inspired by movement and cladded with rhythm of materials. The ‘Dress’, which is the essential part of creating movement and dynamic gestures in the dance, is expressed in the facade design, through both graceful and strong details,” continues the design rationale. 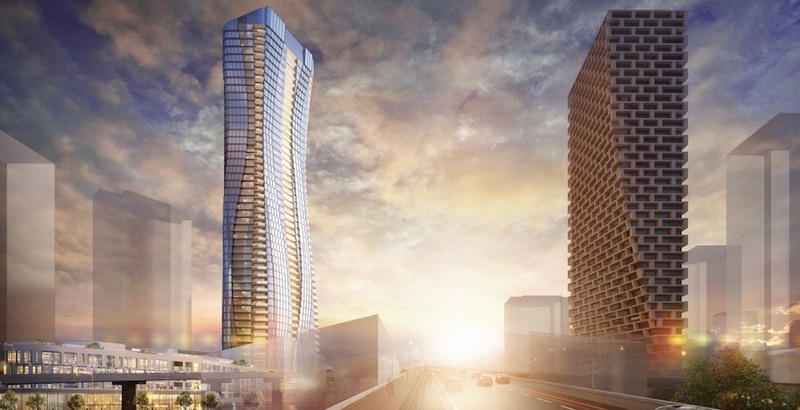 The project will have a total floor area of 449,444 sq. 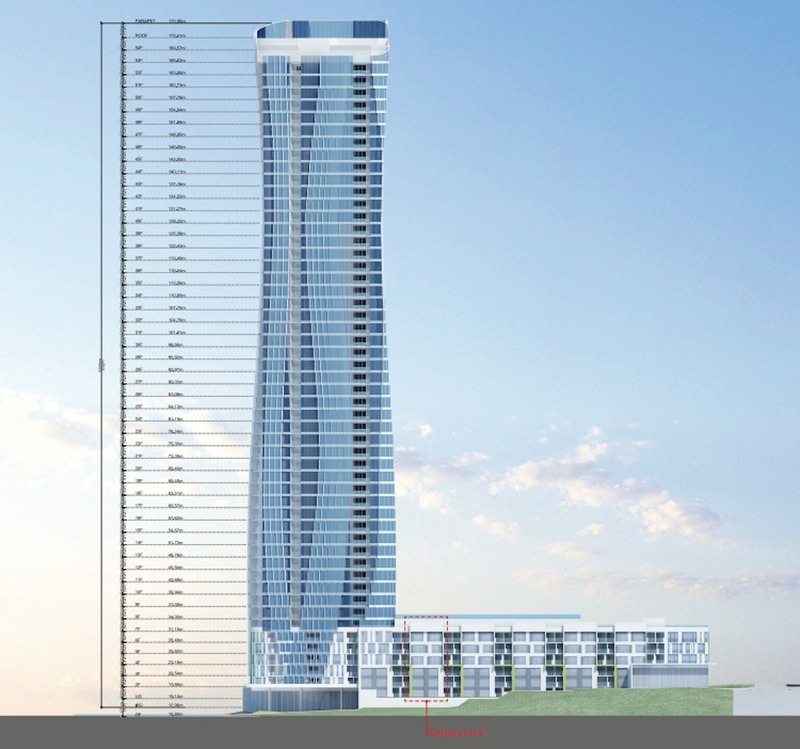 ft., giving it a floor space ratio of 7.23 times the size of its 62,168-sq-ft lot. 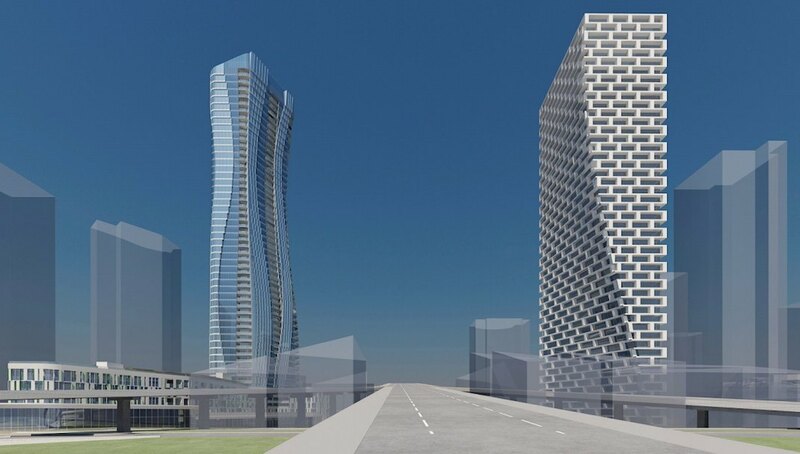 There will be 442 underground vehicle parking spaces to support the activity generated by the development. 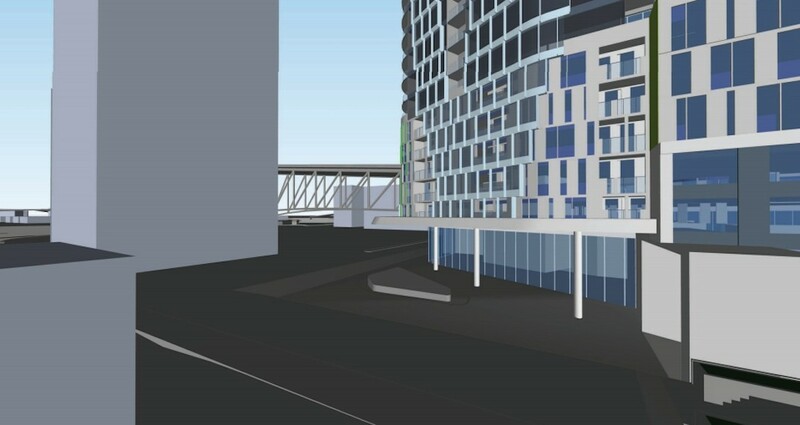 In 2016, the municipal government sold the property to Pinnacle International for a base acquisition price of $20 million, and as part of the deal another $44.5 million will be spent on constructing 152 affordable housing units on behalf of the municipal government. 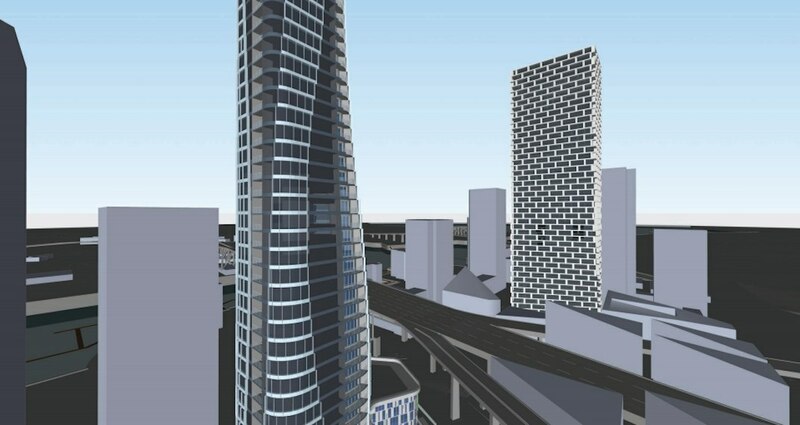 On top of all that, the developer agreed to further payments on an incremental scale, with the amount determined by the approved size of the project. 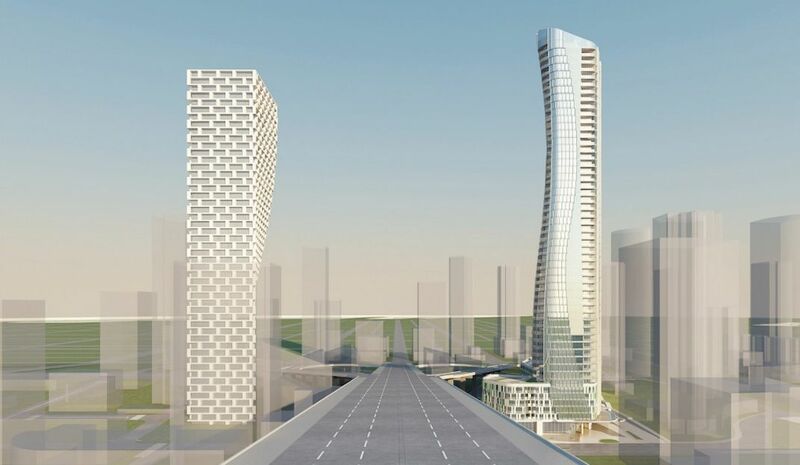 For instance, the municipal government will receive an additional $73 million if the build-able floor area is 200,000 sq. ft. and $127.75 million if it is 350,000 sq. 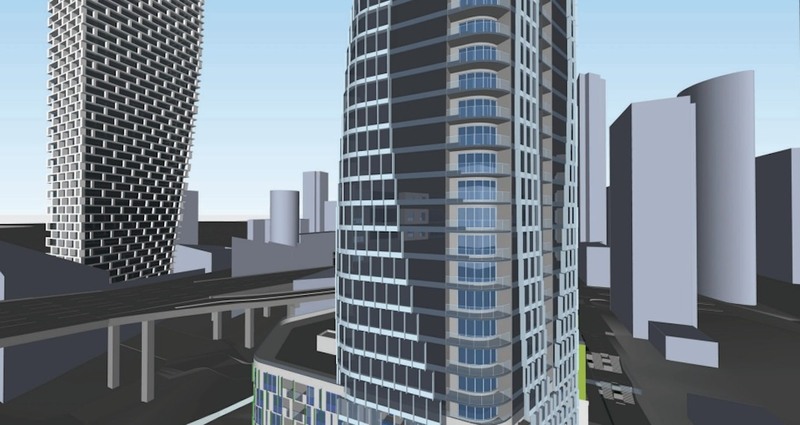 ft.
On the other side of the bridge deck in downtown, Vancouver House is slated for a completion early next year.